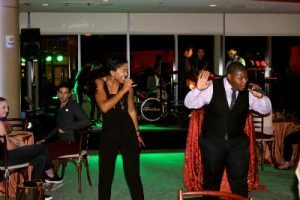 Entertainment Specialists held a wedding showcase at the Boston Seaport Hotel on Wednesday, October 12. It was an evening full of fun, taking the stress out of wedding planning. Entertainment Specialists’ twenty-five years of experience really shined through in every aspect, starting with the venue choice. 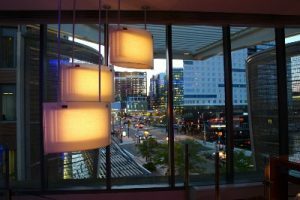 The Lighthouse Ballroom, which offers beautiful panoramic views of the seaport and downtown skyline, was chosen to create a mock wedding. The outside perimeter was lined with tables for Entertainment Specialists’ vendor partnerships, including Boston Ballroom, Montilio’s, and Rockstar Limos. 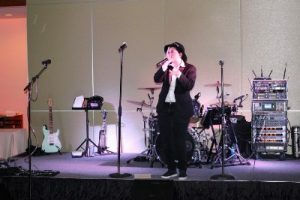 The different vendors covered everything from transportation and videography to makeup, guests enjoyed their drinks as they learned more about the variety of services offered. 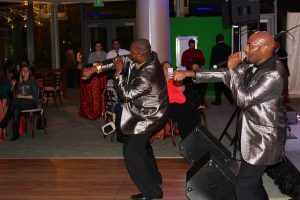 The fun really began when Entertainment Specialists brought out some of their top performers. DJ Chelsea, was first up, showcasing her champion beatboxing skills. Next, Sweet Tooth and the Sugar Babies got everyone up and moving with their take on songs like “All Night Long” and “I Want You Back.” It was a tough act to follow, but World Premier Band proved they know how to work a crowd. By the end of their set, everyone was up and learning how to wobble. There was also a performance by Sweetbeats, the current titleholders of “Best of Weddings” from The Knot Magazine. Funsauce closed the showcase with their one of a kind DJ set, which was accompanied by live interactive entertainment. 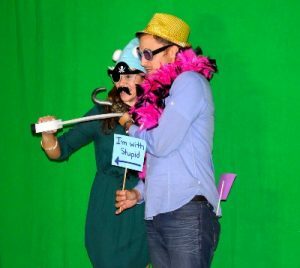 While this extravaganza was happening, guests were also encouraged to take a break from the action to check out the photobooth stations for a chance to win a raffle. There were two photobooths set up, one for green-screen effects to create your own background, and another one with a solid background. There was a table full of different funky accessories and funny props to ensure the perfect photoshoot. 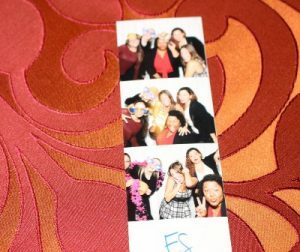 Each picture was placed into two raffles giving participants a chance to win a lighting package or a photobooth package for their event or even a weekend stay at the Boston Seaport Hotel!